It’s a rule we all know. It’s tested in every single game and although breaking it will disappoint your teammates and fans, nobody will head to the penalty box or dressing room. In a nutshell, the rule is “If you’re in the crease, any goal scored by your team doesn’t count”. If a player shoots while standing in the crease, even if his toes are just touching the crease line, no goal. If it’s his teammate who’s in or touching the crease, no goal. If he shoots while jumping and lands before the ball goes in, no goal. Easy, right? Actually there’s a little more to Rule #67. 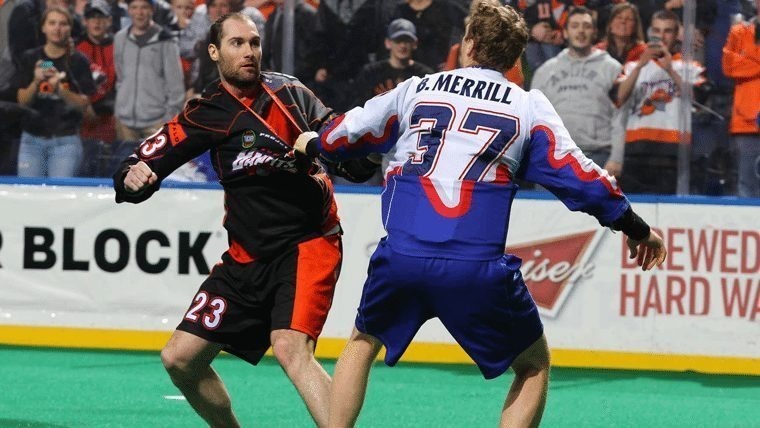 The NLL rule book is available online (the 2017 version is here, at time of writing) so if you want to see the actual wording of the rule, go have a look. I’ll summarize some of the parts of the rule here and then we’ll look at what it all means. If the guy with the ball touches the crease or crease line, his team loses possession. It doesn’t say “touching the ground” but that’s the implication; jumping over the crease is fine. If you shoot and your momentum takes you into the crease but you immediately step out, everything is copacetic as long as you’re not the first person to touch the ball or interfere with a defender afterwards. However, it refers to touching the ball after you get out of the crease; it’s not clear what happens if the ball goes in the net. Rule 55.2 says “A Crease Violation will result in a no goal. See Crease Violation Rule 67.” Rule 67.2 says that if you immediately step out of the crease (and don’t touch the ball first, which won’t happen if you score), you are not in violation of the rule which implies that any goal scored in such a situation would count. We’ll come back to this. If you (as an attacker but without the ball) go into the crease and then leave it, and doing this gives you an advantage (as decided by the ref), and then you grab the ball or interfere with a defender, your team loses possession. I believe an example would be if you go through the crease to get around a pick. Same as the previous rule but if you initiate contact with an opposing player who has the ball, that’s a delay of game penalty rather than just a change of possession. We saw this called on Dhane Smith at last week’s game in Toronto – it was called as “Delay of Game – checking through the crease” and nobody had any idea what it meant. The title is a little misleading. If any member of the attacking team is in the crease when the ball crosses the goal line, the goal does not count. It has nothing to do with when the shooter shoots. 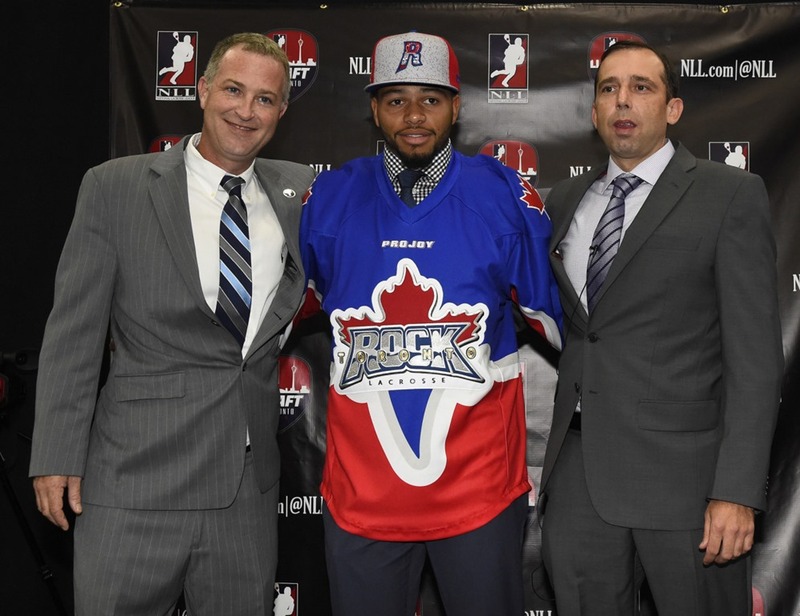 In a recent Toronto Rock game, a Rock player shot while another Rock player was in the crease but the ball hit the goalie and slowly trickled over the line. After a review, the refs determined that the non-shooter had left the crease by the time the ball went in so the goal counted. This is the one we’re all familiar with. If you shoot and any part of you is in contact with the crease before the ball goes in, the goal does not count. This one is slightly more explicit than 67.1; it does say you need to be touching the ground. 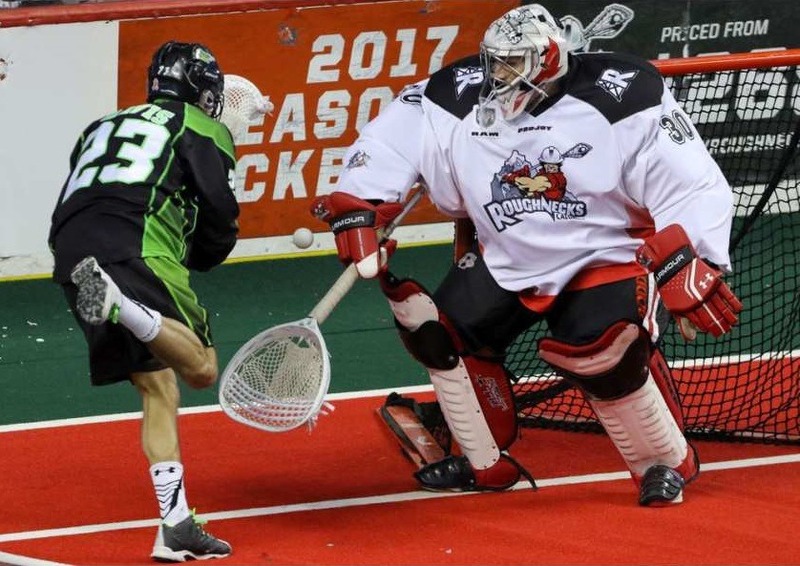 Shooting while in the air over the crease is fine as long as it goes in before you land – just ask Mark Matthews, Curtis Dickson, or any of the dozens of other players who like to score while diving through the crease. There’s an addendum which is oddly specific: if you shoot and the ball hits the goalie and then hits a defender and then goes in, it counts as long as the shooter is out of the crease by the time the ball crosses the line. We’ll get back to this one as well. There are actually nine more sections of this rule, all the way up to 67.15, but I’m just looking at the ones above. For the most part, the rule says what we expect: if you or anyone else on your team is touching the ground in the crease (including the crease line) at the moment the ball crosses the goal line, the goal does not count. If you intentionally step into the opponent’s crease with or without the ball, it’s either a loss of possession or a penalty. If you accidentally step in and immediately get out (and you don’t have the ball), that’s OK.
Rule 67.2 implies (but doesn’t say explicitly) that if you shoot, step in, get out, and then the ball crosses the line in that order, the goal counts. The first part of 67.6 says that if you step in the crease before the ball crosses the goal line, the goes does not count. The second part of 67.6 says that if you shoot, step in and then out, the ball hits the goalie and a defender and then goes in after you’ve stepped out, then it does count. #1 and #2 together seem to contradict each other, but it could be that #1 covers the case where the shooter has time to get out of the crease before the ball goes in, while #2 covers the case where he does not. But if #1 is true, why is #3 listed at all, since it’s just a special case of #1? It’s like having rules saying (a) “If you’re driving over 50 km/h in a school zone, you get a fine” and (b) “If you’re driving over 50 km/h in a school zone and your car is red, you get a fine”. But doesn’t (b) imply that you do not get a fine if you’re speeding in a green car? No, because (b) is covered by (a). (b) is not necessary at all and doesn’t clarify anything; it only serves to add confusion. Update: In at least two and possibly three games in the week since this article was published, a shooter has stepped into and out of the crease after shooting but before the ball crossed the line. In every case, the goal was waved off. Perhaps it’s just me who thinks the rule is not explicit, but It seems clear how the refs are interpreting this rule. Also, why does a defender need to be involved? Why that specific order? What if it hits the goalie but not a defender? What if it hits the defender first and then the goalie? As long as the shooter is out of the crease by the time the ball crosses the line, it seems that rule 67.2 should mean the goal counts in any of these cases, but we don’t know for sure. It’s a rare situation but it would be nice if this rule was clarified. So there you have it, the crease violation rule. Clear as mud, right? Now, here’s a question not answered by the rule book: if I score while my teammate is just barely touching the crease line behind the net, the goal doesn’t count. Clearly my teammate’s toes in no way affected the goalie’s ability to stop the ball and didn’t give me any sort of unfair advantage. So why is the goal disallowed? And don’t say “because of rule 67.5” – I mean why does the rule exist? Why can’t the ref wave it off and say that the player’s “presence” in the crease had no effect on the play so the goal counts? That’s an exercise left for the reader. Dominant performance by the Rock. Nick Rose was… well, awesome. The defense was excellent, limiting the Bandits to only 48 shots. The transition was strong, and the offense looked great. Just a great performance all around. Tom Schreiber. Three goals, seven assists, tons of hustle, and he looks like he’s been playing box lacrosse all his life. As I read on twitter, imagine how good he’d be if he had been. Props also to Stephen Leblanc with two goals and seven assists, and I thought Dan Lintner had a great game as well. Mark Steenhuis is still a beast on the PK. Give him the ball and he’ll just run around for 30 seconds, regardless of how many people are hanging on him. Rock power play. Only two PP goals when it seemed the Bandits spent half the game in the box. They had a full two minute 5-on-3 and couldn’t score. Bandits offense just couldn’t get it going. 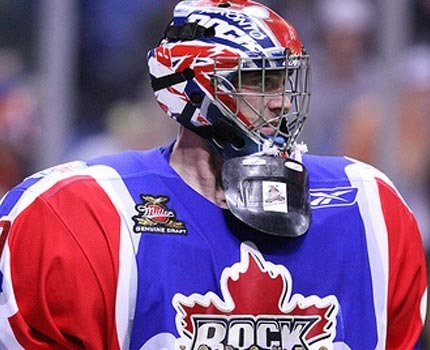 No Bandit had more than three points, and the Rock kept Dhane Smith to 2/0 and Ryan Benesch to 1/2. Lots of penalties, mostly by the Bandits. Brett Hickey got a penalty for something (though I missed what) and Billy Dee Smith got one for punching Hickey on his way back to the bench. Thing is, at least two other Bandits punched Hickey while he ran by their bench. That’s also “intentional contact – dead ball”. Not all of the penalties were warranted. Kedoh Hill got one for goalie interference that looked entirely unintentional to me. Mitch de Snoo got a five-minute major for a high hit but I didn’t think it was worth 5 minutes. Attendance. Only 8319 at this game. 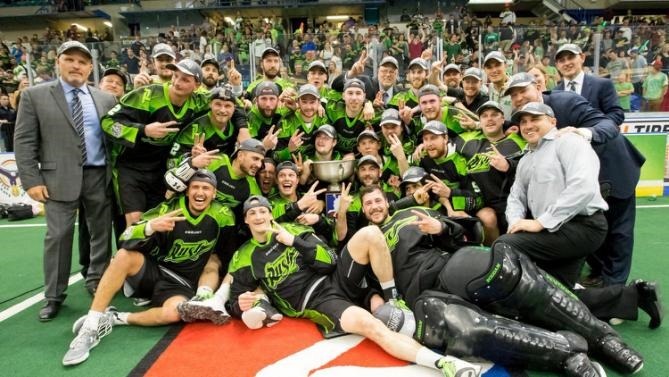 Games against the Bandits (located close, long rivalry) should draw more, shouldn’t they? Read last night that this was the 6th lowest attendance in Rock history and something like five of the lowest eight were against the Bandits. I don’t get it. Dhane Smith got called for “Delay of game: checking through the crease”. This is rule 67.4: “Attacking player in crease to gain advantage on defender”. I have a blog post coming up soon describing rule 67 in detail, but I think this is the first time I’ve ever seen this one called. The Bandits did not line up on the restraining line for the national anthems; they stood in a group around the net. I actually thought this was kind of cool. My friend Jeff told me to call my buddy Jamie (Rock owner Dawick) and tell him to tell the video guy not to show replays of Buffalo goals, or close Rock goals. Sorry Jeff, it’s a new league rule: replays of all goals must be shown. I can only assume that the league read this article from last year and acted accordingly.